Credit: Photo courtesy McMaster University. Hamilton, ON (April 11, 2019) – A team of McMaster University researchers has discovered a unique subset of cells within human stem cells that appear to signal how the surrounding cells will develop and grow. “We are now applying our experiences with this technology and techniques to complex cancer systems,” said Collins. “Why does an individual cell become cancerous in the first place? What are the differences among cancer cells? Are features of these founder, or ‘kingpin’, cells present in a human tumour? Photo attached of Mick Bhatia and study first author Mio Nakanishi. 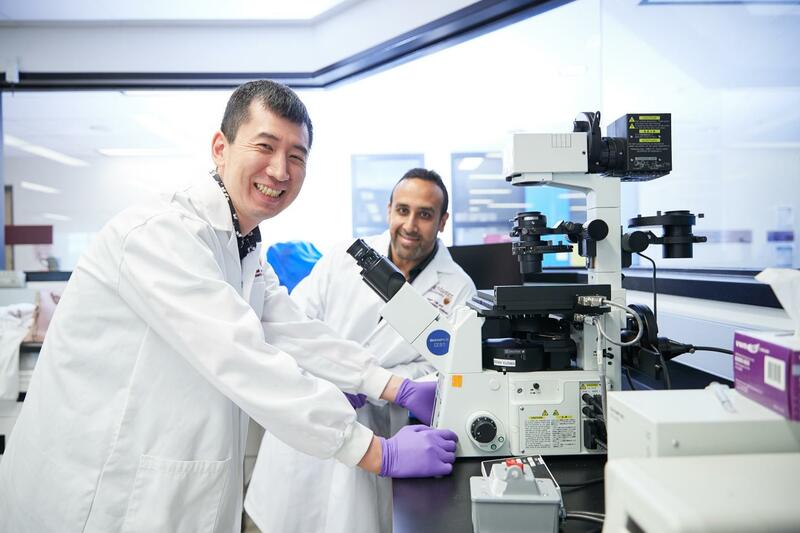 Photo caption: Mick Bhatia, right, director of McMaster University’s Stem Cell and Cancer Research Institute and Mio Nakanishi, postdoctoral fellow in the Bhatia lab. Photo courtesy McMaster University.